Opened 1939 by Gaumont on site of La Scala. Arch. W.E. Trent, Gaumont house architect. s. 1,000. Renamed Odeon, 1964. Sold to Classic, renamed, 1967. 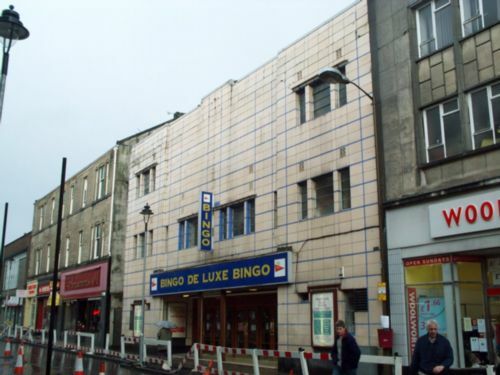 Sold to independent, renamed De Luxe with partweek bingo. Cl. 7.71, except children's shows until 13.6.75. Now full time bingo. This was the last Gaumont to be built pre-war, and the only purpose built Gaumont in Scotland. Photo courtesy of Graham Kelly. 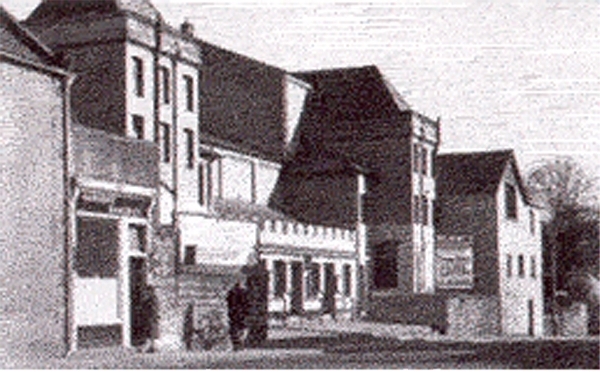 Opened 1913 by Alloa Picture Palace Ltd., seating 966. Largely cine-variety until sound era. Sold to Fife Entertainments, 1949. Closed c1964. Demolished.